Making Ghee at home is absolutely EASY. Do give this DIY a try, it is perfect if you are a beginner in the kitchen, or have not made Ghee before. HEY HEY lovelies…guess who’s back from a brief ‘blogging hiatus’!!! With all my recent moving and renovations at the new house, A proper sit down to do a blog post, has been futile to say the least. But, I haven’t been totally AWOL from my other social media platforms. I like to call those posts, my mini blog version. If you Follow me on my INSTAGRAM and FACEBOOK pages, you will have noticed, that I had done a few “OLD SCHOOL” foodie posts. Why Old School?, That’s because SEPTEMBER is HERITAGE MONTH in South Africa. I wanted to bring back a few golden oldies that have been in my family for generations, and still stands the test of time. GHEE too is another OLD SCHOOL ingredient. With recent times, ghee has been found to complement many a diet. Ghee is a type of Clarified Butter, that has originated from the Indian Subcontinent. In India, ghee making process is generally lengthy. It commonly made from Heating milk, allowing it cool, and skimming off the cream bits from the top of the milk. This is then churned into butter, which is further heated to make ghee… DESI GHEE as our Indian friends would refer to it. Back home here in South Africa, Ghee making is a lot more simpler. There is always memories attached to food, and one such is walking into your home to the aroma of a rich, nutty ghee that was made by the women of the household. This technique, I, like many other South African Indian families, have learnt from generations before us. It’s a DIY that certainly deserves it’s own platform to bask on, a heritage worthy recipe that will be around for many more generations to follow. GHEE is used in a variety of Indian Cuisine, and most often it is used in place of vegetable oils. Be it a savoury or sweet dish, ghee is one common ingredient you will find in many Indian style dishes. Who doesn’t love a good quality Ghee from a reputable company, but with the recent spike in BUTTER prices in SOUTH AFRICA, those once truly affordable store bought ghee, has now become an almost ‘luxury buy’. So back to basics it is, here is how you too can make a batch of Ghee at home, anytime you need some. Have You Made Ghee At Home Before? ~ ADD A 500 GRAM BLOCK OF GOOD QUALITY BUTTER, CUT INTO PIECES, TO A LARGE ENOUGH SAUCEPAN. YOU CAN USE EITHER SALTED OR UNSALTED BUTTER. ~ MELT THE BUTTER ON A MEDIUM/LOW SETTING. AS THE BUTTER MELTS AND BOILS, YOU WILL NOTICE A FROTHY SUBSTANCE BEGIN TO SURFACE TO THE TOP. ~ CONTINUE TO COOK THE BUTTER, UNTIL IT IS CLEAR AND THE MILK SOLIDS SETTLE AT THE BOTTOM OF THE SAUCEPAN. NOW YOU HAVE CLARIFIED BUTTER. TO MAKE GHEE, CONTINUE TO COOK ON LOW, UNTIL THE MILK SOLIDS ARE BROWNED BUT NOT BURNT. THIS STAGE GIVE THE GHEE A RICH AND NUTTY FLAVOUR. ~ ALLOW THE GHEE TO COOL SLIGHTLY, BEFORE STRAINING INTO A JAR OR CONTAINER. YOU CAN USE A MUSLIN CLOTH, A TEA STRAINER OR COOKING GRADE FILTER. THIS ENSURE THE LAST BITS OF MILK SOLIDS ARE REMOVED. ~ GHEE CAN BE STORED AT ROOM TEMPERATURE IF STRAINED, OR IN THE REFRIGERATOR. GHEE WILL ALSO FIRM UP SLIGHTLY AS IT COOLS, SO THERE IS NO NEED TO WORRY. That my friends…IS IT>>>HOMEMADE GHEE in a jiffy. Now that you can make this, WHAT WILL YOU BE USING GHEE IN? DO DROP ME YOUR FEEDBACKS, I LOVE HEARING FROM YOU. An easy to prepare, slow cooked dish, this Lightly Spiced Salt and Pepper Steak, makes for a perfect Light Meal, paired with a Salad. If steak is not your choice of protein, then try my recipe with chicken, which is just as easy and delicious. I SHOULD BE PACKING!!! shhh..Let not my better-half know about this sneaky blog post publication. I managed to have a quick time out, from packing, to share this very easy to make and delicious dish, that is perfect for hot summer days, or days that are hectic and busy, or like myself, days prior to travels. Even during such crazed days, we need to take care of our meal options. Choosing to have good, home cooked, nutritious meals, should be a priority for us all. This is one of my FAMILY FAVOURITE dishes, that has been made for generations. I do refer to it as “SALT AND PEPPER”, although as you will see in my recipe, I make use of a few other spices. But the spice amounts are very minute, that it adds only a subtle spicy undertone. This Lightly Spiced, Salt and Pepper Steak, is slow cooked on a low heat, until the steak, or chicken, is tender. And worry not about left-overs, If this is not finished at your dinner table, it makes for a wonderful sandwich/tortilla wrap filling, for a packed lunch. Take a look at this collage, to have a Step by Step Idea of how to Make this Lightly Spiced Salt and Pepper Steak. Now that you have an visual idea about How easy this dish is to Prepare, Find my recipe below so you can give it a try. Do drop me your comments and feedback as I love Hearing from you. IS THIS A DISH YOU WILL TRY OUT FOR YOUR FAMILY? *As I may be a little AWOL on the Blog Scene for A short time, Do remember to catch me on my INSTAGRAM FEED , as I will be sharing some stories, from my next Travel Adventure?. ~ Heat pan, Add the Ghee/Butter to pan and add in all the marinated steak and onions as well. ~ Add 1/4 cup water and cook steak on low heat for 10 minutes. ~ Now add the Potatoes, that’s been seasoned as mentioned above. ~ Add more water to pan and continue to cook on low, until potatoes soften. ~ Allow the steak to brown slightly. * this recipe can easily be doubled or tripled. * Why not try this recipe with Chicken as well, and If you have Green Chillie/ Garlic Masala paste, you can use that too. We are so very fortunate, here in South Africa, to be able to get fresh Butternut Squashes throughout the year. It is a relativey affordable vegetable, and seems to thrive well when attempted to grow them in our vegetable patches, or so I’ve been told. Personally, I have yet to attempt this Gardening Venture, maybe I should be adding it to my TO DO Gardening LIST ;). I LOVE gardening, it’s so relaxing?. But until I manage to grow my own squashes, I will stick to shopping at my local supermarket for these very versatile vegetables, and there is so much that one can prepare from these. One of my favourite dishes to make with Butternut, is SOUP. I don’t understand why Soup is considered a Winter type of dish, I say if it so readily available, why not make the most of it? Life is too Short to wait for a particular season OR reason to Enjoy what God has provided us with NOW. This soup is perfect to serve as a Starter or as a Light Main Meal. Lunch or Dinner you can never go wrong with this one. This also Freezes well, so no more Excuses to never have soup anytime you so wish?? 1- Melt butter in a pot large enough for all the ingredients, add the onions and cook over medium heat for about 5 minutes,until soft. 2- Add the butternut,potatoes,paprika, cinnamon powder and mix through well, then and the water/stock. Bring to boil and cook covered over low heat until the vegetables are soft but still holding it’s shape. Season with salt and pepper according to taste. Reheat gently! Serve hot with a side Dinner Roll or Croutons. Big Match Games call for a Big Winning Snack!!! So last night, when Springboks (South African Rugby Team), played their quater finals match against Wales, We had to have a snack to Keep it Real ?. It has been a while since I made this snack at home, thankfully I managed to get the ingredients I needed here in Bahrain. Oh and By The Way…the BOKKE Did WIN and Are through to the Semi-Finals of the Rugby World Cup 2105 … WhooHooo???. So next time you have friends over, or at a Braai/barbecue, why not serve up this snack. It is a sure Winner!!! You can also find my Guacamole recipe shared on the blog, with a link in the recipe. ~ in a Large casserole, Layer Doritos, chillies, drop the sauce evenly all over, sprinkle the salsa liberally over and dot with a few teaspoons of Cottage Cheese. ~ warm through in preheated oven for 5 mintues. ~ remove Nachos from oven and sprinkle with Grated Cheese and return casserole back to oven just until cheese melts. ~ Nachos are ready to serve, add more Salsa and Guacamole on top / as a side. * Use any variety of Corn Chips. * Salsa and Guacamole amounts as per liking. * adjust chillie sauce and Jalapeños to suit taste. Delicious and Healthy, with Loads of Fibre, this HEALTHY BRAN MUFFINS recipe will soon become Your Family Favourite too. OOoooh I could not resist that Muffin Joke. Ugly or NOT, Muffins they are still healthier than Cupcakes right? Well as the war between Muffins and Cupcakes continues, I choose to stay away from the negatives, because for me there is always an occasion for each of these yummy baked goodies. Do You Agree?? Like take for instance, returning back to Johannesburg, South Africa last week, we were greeted by blue skies and clear fresh mornings with the Sun Gently Warming the Earth. How Could I not think of quickly whipping up some of these easy Muffins, to sit outdoors and enjoy with my tea. Hey anything to enjoy the feel of the fresh Green Lawn under my feet, before the Winter season sets in on the Highveld and the grass becomes dry and lifeless? . My Happy Feet enjoying the Feel of the fresh Green Lawn, While the Muffins Baked in the Oven. 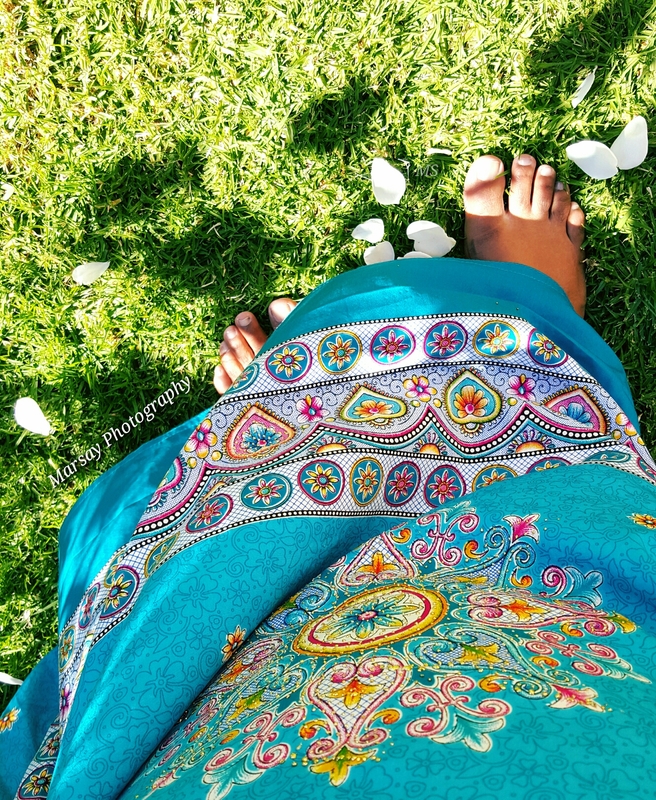 There is something so therapeutic about walking barefoot on grass don’t you think? And now back to my Muffins, This recipe is My Family Favourite, and I remember my Mum-in-law, Allah Bless Her, sharing this recipe with me some 16 years ago, ‘whew where does time fly too’. I have since adapted the recipe to suit what my Habibi and I like. What I love about this Muffin, apart from it being so easy and delicious, is that the batter keeps wonderfully in the refrigerator/freezer, which is absolutely ideal for my home. With just 2 people to bake for, making a whole lot at once, only means we going to eat them all?. So making these muffins in smaller batches works perfectly for me. NOTE…Although I do state in recipe below, serving amounts as 12-18, It all depends on how big a muffin pan you use and how large/small you want them to be.
? Preheat Oven to 180 degrees Celsius.
? Whisk together the Oil, Sugar, Eggs and Vanilla Essences.
? Add in the Flours, Salt, Bircabonate of Soda and Nuts, mix well, before loosening the muffin batter with the milk. Whisk all these until well combined.
? * At This Stage, your muffin batter is ready to be refrigerated, OR Frozen.
? Prepare your muffin tins, and Fill half way or 3/4 way up.
? Sprinkle top of muffins with the Rolled Oats, if using, perfectly fine without any too.
? Bake for +/- 15 minutes or until the top of muffin springs backs lightly when touched.
? Using a round ended, butter knife, gently run it along the sides of muffins to remove easily. Healthy Bran Muffins ready to be Enjoyed! ★ Huletts and Snowflake are 2 very popular brands here in South Africa, MY FAVOURITES, but you can use any brands for the ingredients. ★ I have successfully used the muffin batter IMMEDIATELY after preparing it, not necessary to have it refrigerated before use. ★ I love using Pecan Nuts, as they are my favs, But you could use any other nuts you prefer. ★ You could also add in 1/2 Cup of a mix, or singularly, of chopped Raisins/Dates/Dried Fruits. ★ The batter Keeps very well in Refrigerator (about 2 weeks) and Freezer (about 3-4 months). Bring the batter back to room temperature, and mix through well before filling into your muffins tins to bake. ★ Muffin tins may be lined with muffin cases, if you prefer, Today I wanted a more rustic look, so I opted not to use any, simple spray muffins tins well with a non-stick cooking/baking spray, before filling with batter. ★ Best enjoyed with a spread of Butter, Jam and/or Cheese. HERE IS HOW ENJOYED MY HEALTHY BRAN MUFFINS, WITH AN IMPROMPTU LITLLE PICNIC ON MY LAWN… HOW ARE YOU GOING TO ENJOY THESE? I LOOK FORWARD TO YOUR PICTURES/COMMENTS. Spinach… A Superfood that adds so much benefits to our health, and this recipe for Creamed Spinach, With NO CREAM, is super easy and bursting with flavour. DO YOU REMEMBER THIS CARTOON CHARACTER??? With just a pop of the Can of Spinach and Popeye would miraculously gain super human strength, with bulging biceps, to overcome his enemies, but you may be surprised to learn that he may also have been helping to protect himself against inflammatory problems, cardiovascular problems, bone problems and many more ailments at the same time. Spinach is available all year round, in different varieties. There was a time, in the last few years, that I had successfully grown my own spinach in my Little veggie patch in Johannesburg, and once harvested, We had enough for my home and my Domestic Help as well. So do give growing spinach on your own, it’s great to have them so readily available when needed. So today I share with you my favourite Creamed Spinach recipe, and hopefully this can add a Bit of a Popeye effect for you too ?.
? In a large enough pan, Melt the butter, and sauté the onions until transparent.
? Follow by adding in the chopped spinach, lower heat and let the spinach wilt without adding any extra water.
? When spinach is softened, add in the Cream Cheese Spread, this will now ‘Thicken’ up.
? Gradually add in water, +/- a 1/3 cup, or until the desired consistency is achieved, blending in well after each addition of water.
? Add in the Salt and Pepper to taste. TOP THE CREAMED SPINACH ONTO A POTATO SPUD , ADD LEFT-OVER CHICKEN/BEEF PIECES (OPTIONAL), AND SERVE WITH A SIDE SALAD….A LIGHT MEAL ALL ON IT’S OWN. ✒️ Use as much spinach as you like, since spinach is made up of more water, it will wilt down to 1/4 of the initially added amounts. ANY VARIETY OF SPINACH MAY BE USED. ✒️ Always add the Salt and Seasonings at the end, as the cream cheese will also add a bit of saltiness to the dish, so DO TASTE CHECK before adding. ✒️ I have used a cream cheese ‘Spread’ here, but You can use a regular cream cheese, simply whisk it until smooth before using in recipe. ✒️ The recipe can be doubled/tripled according to your needs, simply adjust ingredient amounts accordingly. ✒️ You could add in crumbed Feta Cheese at the end, but do watch for salt content in end product. An easy to make, all in one Dish, this easy to make, Sweet Chilli and Mayonnaise Steak Casserole, is a definite keeper. You can look forward to Moist, Succulent Steak pieces, topped with Onion/Capsicums and Fried Potato Chips, lightly baked to warm before serving. Back Home in Bahrain, and I am left recuperating, a couple days after my travels, from jet-lag…It isn’t the difficulty of adjusting from different time zones that get to me, it’s just an awful feeling of tiredness, Well I for one, listen when my body is protesting against me, and make do with catching a few power naps in between? ?… How Do You cope with Jet-lag?? < do Let me know>. So it’s back to a bit of Normality on the kitchen front as well, and with having to make do with vegetarian meals and/Or Seafood while travelling, I needed some good old Steak. This recipe I share today is a favourite with My Habibi and I, and I have made this dish for family and friends, with great success each time. ✔️ Marinate with all the above Ingredients. ~ ENSURE THAT STEAK REMAINS SAUCY, IF NEED BE ADD A BIT OF WATER DURING COOKING PROCESS. DO NOT DRY OUT THE STEAK. ✔️ Now add in the Capsicums, and sauté for a few minutes, *DO NOT OVER FRY THESE, KEEP A BIT OF CRUNCH*, season lightly with salt and pepper. ✔️ Remove with a slotted spoon and drain onto Kitchen paper towel on a plate. ✔️ Fry the chips in vegetable Oil, as you would for regular fries. Remove when crispy, using a slotted spoon and drain off well. ~ All these steps, from 2-4, can be done whilst the steak is cooking, it is more about having all these ready before the final layering into a casserole. ✔️ Drizzle over the Steak, a little of the Sauce prepared in Step 4. ✔️ Heat the Oven to 180 degrees Celsius, and warm casserole through for 10 minutes, remove and sprinkle on top some shredded Gouda/Cheddar and a sprinkle of Dried origanum, return to oven for a few minutes until cheese melts. ✔️ Best Enjoyed Served with a Side of Green Salad, I also served with a Garlic Naan, to mop up some of the sauce? ☆ Another Variation to this very recipe is that I Make a Chicken version, you can make this with chicken fillets with the exact same sauces, or like I do to change the overall taste, is make it a “Portuguese” flavoured Chicken casserole, follow the exact same process Except for the sauce Use Peri Peri Sauces or a Good Portuguese Cook-in Sauce/Marinade. ☆ Use any brands/variety of sauces available in your area, I have made this both in South Africa and Bahrain with different Brand of Sauces and it works perfectly each time. So just last weekend, Things had been Heating up on the Bahrain International Circuit, with Formula 1 Grand-Prix fever. A few days I will never forget. I am not a huge speed/car junkie, but do tend to stop and admire a good car every now and then. Being both Imran and My first time at such a race, has left us Mind-Blown. The exiliration from watching these super cars perform live, is something that you have to experience at least once in your life. Grandprix racing has most definitely taken a tiny spot in my heart, and I will from now on be viewing those races on TV with totally new eyes. So while the drivers at the race eagerly watched the RED and GREEN lights above the start point, Back home in my kitchen in Bahrain, Habibi (As I now tend to affectionately call Imran), And I, had been seeing red and green as well and with a bit of a comeptition going on. Hey some Healthy competition is always a good thing in a marriage right?? Our kitchen competition entailed the use of RED and GREEN CHILLI PEPPERS. After finally settling on who gets to use how many of the Chillies, we each got down to making our own little relishes to enjoy with our meals. You can find out what my Habibi made with his batch of Chillies HERE. No WINNER in my kitchen this time, both the relishes are equally delicious ??. Now let me share with you my Relish. This one is definitely for your recipe books lovelies, I have been attempting to replicate a relish we enjoy at a Portuguese restaurant back home in South Africa, called Calistos (I’m sure many of my Johannesburg lovelies would have enjoyed a meal here at some time?). Now finally being satisfied with my back and forth recipe experiments, I can confidently say this is a VERY CLOSE match-up to that relish. This can be Enjoyed served with fresh warm breads, or as a relish on the side to add a kick to your meals. ✅ Add the whole Chillies and Garlic to a Food Processor and roughly chop using a Chopping attachment. ✅ Finely slice the Onions. ✅ Heat Oil in a saucepan, on a medium heat setting and add Onions, Sauté this until transparent but not brown. ✅ When onions are soft, add in the chopped chillies and garlic. ✅ Follow by adding the salt, sugar and lemon juice. ✅ Cook this on a medium to low heat setting, until all the water evaporates. ✅ Now add in the tomato paste and mix through well. ✅ Finally add in the additional oil, Just enough to cover the surface of the chillies relish. remove the saucepan off the stove, cool and bottle and store.
? The chilli pepper I have used were not of a very fiery heat, but mild, you can use any types of chilli you and your family prefer.
? Add more Red Chillies as compared to the Green Ones, as this is where the colour comes through in the oil, from the red chillies and the tomato paste, no other spices were used.
? You can remove some of the seeds from chillies to make it less fiery.
? Add salt to your taste, you may not need amounts stated above.
? This relish can be stored at room temperature, or refrigerated, but remove well before serving and bring back to room temperature. CHILLI AND GARLIC RELISH Ready to ENJOY!! !